When you go on vacation, it is a perfect time to have your pet obedience trained and not have any boarding charges! An obedient pet makes a polite member of the family. 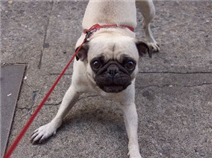 For dogs that are already obedience trained, we also offer off leash training. This training will allow you to take your dog outside without a leash and feel confident that they will always come back to you. This training utilizes a training collar with a remote, similar to ones used in hunting. The cost of each of these programs is $675.00, and includes $28.00 daily towards your boarding cost. After working for Harris County Sherriff’s Department, Terry decided that his love for animals was where his heart belonged. In 1996, Terry followed his passion and started his career in dog training. Since that time, he has been successfully training over 300 dogs per year in basic obedience. He has also done training in protection and raised boxers. "Shocked with what Terry was able to accomplish with Lola"